Let’s face it—there’s something special when comics characters who don’t interact regularly get the chance to work together! That’s particularly true when at least one of them is popular today! Well, the House of Ideas is bringing back a popular “team-up” comic, and the first arc will feature Spider-Man and Ms. Marvel, starting soon in April. Before we dive into the current version, let’s find out just what Marvel Team-Up has been all about in the past. 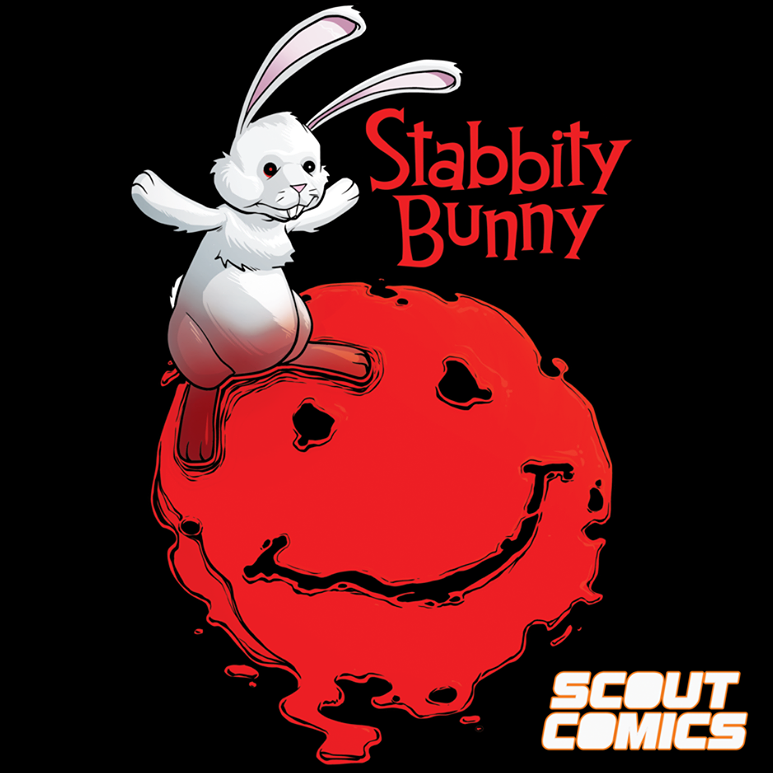 For instance, this will be the fourth time this title has graced the comics stands since it’s debut back in 1972. Marvel Team-Up is an American comic book series published by Marvel Comics. The series featured two or more Marvel characters in one story. 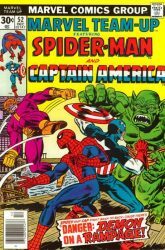 The series was originally published from March 1972 through February 1985, and featured Spider-Man as the lead “team-up” character in all but ten of its 150 issues, and in six of its seven Annuals. It was the first major ongoing spin-off series for Spider-Man, being preceded only by the short-lived The Spectacular Spider-Man magazine. 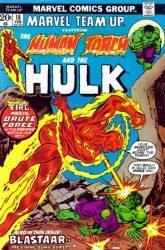 Of the issues that did not star Spider-Man, the Human Torch headlines six issues (#18, 23, 26, 29, 32, 35); the Hulk, four (#97, 104, 105, and Annual #3); and Aunt May, one (#137). Publication of most of the issues starring the Human Torch coincided with that of Giant-Size Spider-Man, an alternate Spider-Man “team-up”-themed series by the regular Marvel Team-Up creative team. When cancelled with #150 in 1985, the title was replaced by Web of Spider-Man. The second series was published for 11 issues from September 1997 through July 1998 and originally featured Spider-Man; Namor the Sub-Mariner was the featured character starting with #8. From 1995 to 1997, a quarterly series titled Spider-Man Team-Up fulfilled much the same purpose as the original title. The third Marvel Team-Up series, written by Robert Kirkman, began publication in January 2005 and frequently featured Spider-Man. 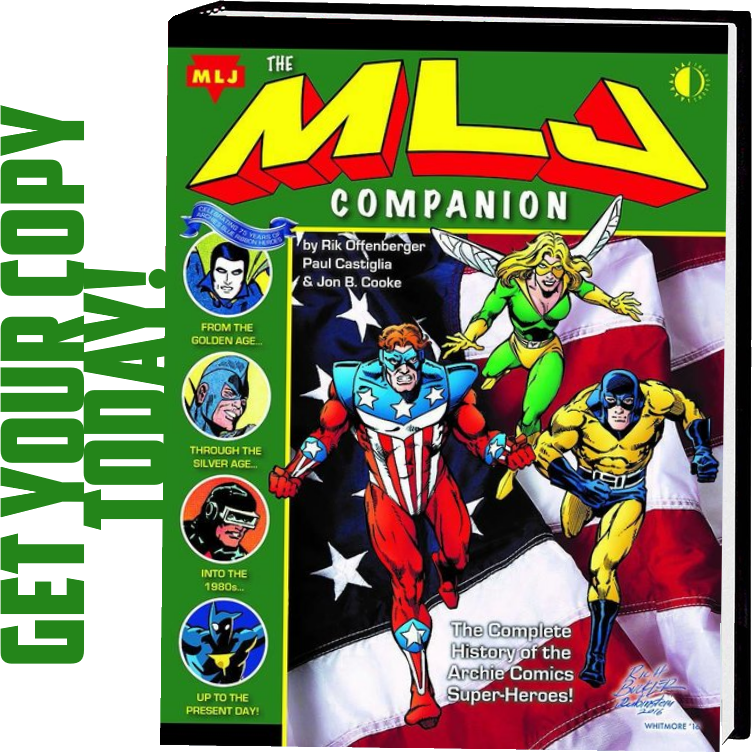 This volume often reintroduced lesser-known Marvel characters that had fallen into obscurity. 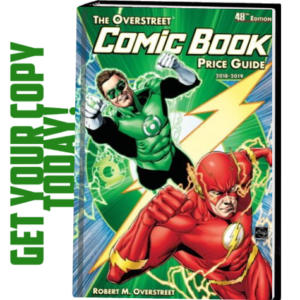 Of course, team-ups are a popular way to sell comics. We get to see heroes interacting with others that they don’t normally see in their own titles. There have been other “team-up” Marvel books, but I particularly remember The Brave and the Bold (featuring Batman) and DC Comics Presents (with Superman) from DC. 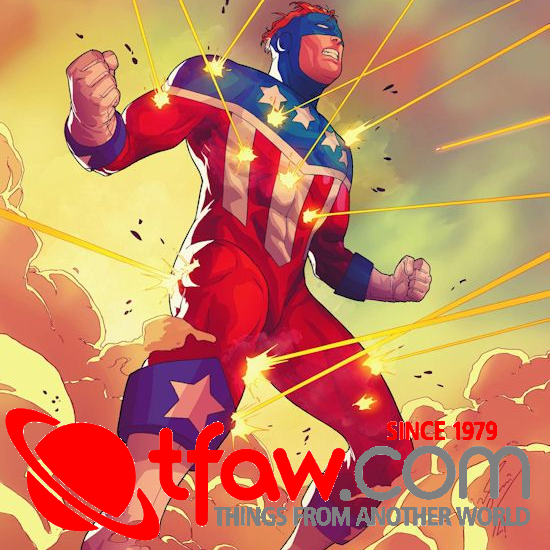 “One of the most iconic series in the history of the House of Ideas makes its grand return in April with MARVEL TEAM-UP #1! Written by Eve Ewing with art by Joey Vazquez, the first arc of the new ongoing tale will see Kamala Khan and Peter Parker take on the eponymous task as the mind-bending and magnificent new series begins! Of course, the series is being updated on several levels, including kicking off with a multi-issue, three-part story arch. Nearly all of the time in previous incarnations, Team-Up featured single-issue stories. This helped draw in readers, say, who liked Spider-Man but didn’t know the hero he was working with this time. The hope is that at least some of Spidey’s fans would glom onto the unfamiliar character and become fans of that person as well. Personally, I’m happy that the female aspects of this book are pronounced, including a female hero (Ms. Marvel) and a woman writer (Eve Ewing). Should make for some interesting reading! Ms. Marvel has been quite the rising hero of late. She’s in many of the Disney XD cartoons as well as getting a lot of play in the comics. Some fans are pretty happy that she’s of Middle Eastern-descent and a teen heroine to boot! Personally, I’m not much for her powers, but that’s likely just me! You can always tell who’s an up-and-coming character because they get to work with Spidey in important issues of team-up books like this one. Eventually, though, they work their way down to the lesser-known heroes like Stingray or Black Knight, the latter a particular favorite of mine. It’s just the nature of a comic like this! COULD THERE BE OTHER ‘TEAM-UP’ COMICS COMING? Naturally, the folks at Marvel and other comics companies will be watching to see how Marvel Team-Up does, particularly when it comes to sales numbers. After all, in the past there have been books featuring The Thing teaming up with other heroes. If this title takes off, you’ll see Marvel and their competition try some of their more popular guys and gals in team-ups. There are some folks who don’t like team-ups because they lessen the focus on one “main” hero. For instance, World’s Finest, probably one of the very longest-running team-up titles, had Batman and Superman fighting side-by-side for many decades. Eventually, though, the steam ran out, so they went with other comics like Batman-Superman and even Superman-Batman. Unlike the first book, those later comics had the two heroes more likely to have less-than-cordial interactions as they took on serious adversaries. I still liked the original “team-up” concept better, though! Personally, I’d like to see a “team-up” comic that had teams working together instead of just two heroes. Of course, JLA/Avengers jumps to mind, but it would be fun to see the Avengers and the Fantastic Four team up once in a while. Or the X-Men and another mutant group. Granted, there would be a lot of characters that would need to be drawn, but I’d find it much more interesting! I’ll be watching Marvel Team-Up and noting how things do as far as sales and just who teams up with who as the series progresses. I do hope it goes over big so we can see more of this kind of superhero adventures!